Live At Leeds returns in 2019 with its biggest lineup to date - bringing together the names and bands that’ll be on everyone’s lips for the next 12 months, and the chance to find your new favourite band first for a day of live music like no other. 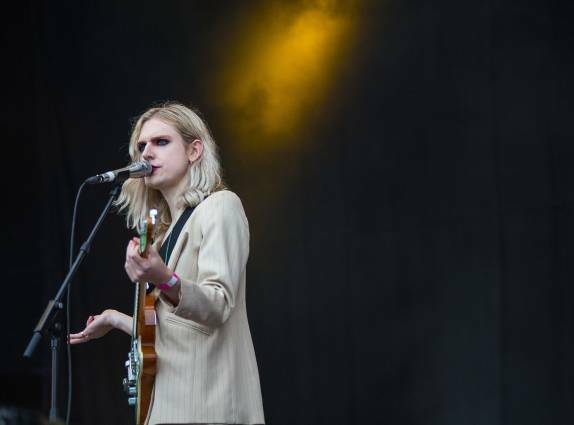 The line up includes a headline slot for returning guitar heroes Sundara Karma, plus one of the most acclaimed and creative bands of the past decade, Metronomy and arguably the breakout artist of 2018 Tom Grennan. 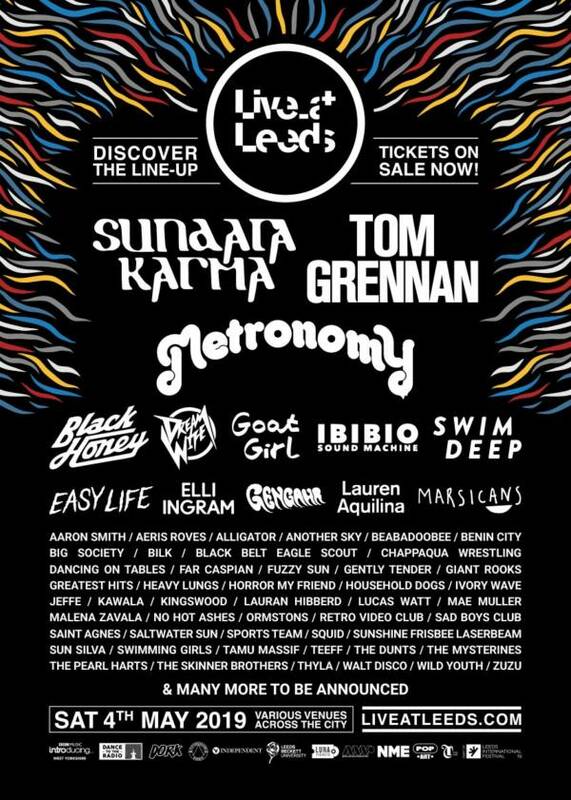 Other artists announced today include: Swim Deep, Dream Wife, Black Honey, Sports Team, Goat Girl, Gengahr, Marsicans, Easy Life, Ibibio Sound Machine, Gently Tender, and Thyla. Plus Another Sky, Lauren Aquilina, Elli Ingram, Swimming Girls, The Dunts, Fuzzy Sun, Zuzu, Saltwater Sun, and Squidse. Live At Leeds takes place on Saturday 4th May at various venues throughout the City of Leeds, tickets are £39.60 (including booking fees available from See Tickets.